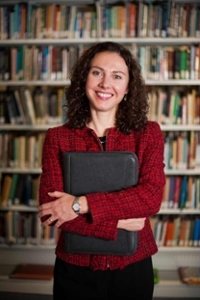 Catherine Steeves was appointed Vice-Provost and Chief Librarian of Western Libraries at Western University in London, Ontario on August 18, 2014. Prior to her appointment at Western, Steeves served as the Associate Chief Librarian at the University of Guelph from 2004 and was appointed Deputy Chief Information Officer for the University in 2010. During her time at Guelph as Deputy CIO & Associate Chief Librarian, Catherine participated in the development and overall strategy and policy administration of the University’s information technology, information services, and information resources. Catherine was a member of the 2009-2010 ARL Research Library Leadership Fellows cohort. She has served on the Board of Directors for the Canadian Library Association (CLA), is a past board member of the Ontario Library Association (OLA) and a past-president of the Ontario Library Information Technology Association (OLITA). In addition, she was a founding editorial board member of the journal, Partnership: The Canadian Journal of Library Information Practice and Research. Steeves earned her M.L.I.S. from the University of Western Ontario (now Western University) and a B.A. from McGill University.